Monsters Vs. Aliens (2009): I'd never seen a movie in 3-D before Monsters Vs. Aliens. I guess I expected those red-and-blue-cellophane glasses from old-school B-quality movies. And Monsters Vs. Aliens has a bit of that old-school vibe as it makes references to classic sci-fi monster movies from the '50s through the '80s. It also has a B-movie charm to it, with a bit more fluff than substance. But a quick synopsis before a critique: a young woman named Susan has been hit with a radioactive meteorite on her wedding day (talk about bad timing!) and transformed into a 50-foot-tall...well...radioactive woman named Susan. Turns out that makes Susan a monster, so she is confined to a military facility for monsters. Her new friends are Dr. Cockroach (think The Fly), the Missing Link (think Swamp Thing), B.O.B. (the Blob), and Insectosaur (Godzilla). These monsters are later set loose to take down an alien robot sent by the evil alien Gallaxhar. Beyond that, there's really not much of a story to tell. The strength of this film does not lie in its plot or character development. Instead, the film hinges on its 3-D effects, impressive graphics, pop-culture references (for the parents) and poop jokes (for the kids...and me). It's entertainment, not a substantial film. It's like eating cotton candy--it tastes great for a moment, but it never truly fills you up (and too much of it can be downright sickening). She is not the love interest, or the helpmate, or the mom. Nor is she a princess, or princesslike. She does not marry a prince or a prince-manqué. She does not marry at all. She tries to get married, but she is struck by a meteor on her wedding day (typical! ), which transforms her into an unmarriageable, world-saving, 49-foot-11-inch superfreak and—thank you, O bountiful movie gods—a Strong Female Protagonist. Susan is resourceful, caring, and willing to use her newfound strength for good. The guy she was going to marry is a weak weatherman whom she realizes isn't worth her time. The film sends the message that for a woman, finding your strength and identity outside of a romantic relationship can be okay, that your role in society doesn't have to be the quiet and dainty wife. Yet this mostly healthy message gets a bit twisted in the film by having every male character be either an idiot or a weakling. From the President (Stephen Colbert) talking about "code brown" because he needs to change his pants, to B.O.B. literally having no brain, every guy in the film is a loser compared to Susan. It's awesome to send a message to young woman that their value and worth isn't found in the guy they're attracted to, that they have inherent strengths and beauty. It isn't awesome to send a message that the only reason a woman is strong is because all the guys around her are losers. But enough rambling--Monsters Vs. Aliens is an entertaining film that's probably only worth watching in theaters for the 3-D experience. I laughed out loud numerous times, and it was a fun film to see with some junior high guys (Craig, Brandon, Colton: you guys rock!). If you know you're gonna see it, go see it in 3-D IMAX. And if you're on the fence, go watch WALL-E instead. The Class (2008): Winner of the Palme d'Or last year at Cannes, Entre de Murs (literally "between the walls" is one of the most ardently authentic films I've ever watched. Documentary-like in its realism and filled with deeply sincere characters, this film is like a series of snapshots during a school year in an urban Parisian junior high school. Adapted by Francois Begaudeau from his autobiography, he plays a version of himself as he teaches a racially-mixed grammar class for a year. The students in the class are real students, not actors; the teacher is a real teacher. From the opening scene, I found myself completely captivated by the classroom environment, as if I was sitting at a desk alongside the students. As someone who works with junior high students, this is the most accurate portrait I've experienced of what it can feel like to guide and teach a group of adolescents. They are at one moment light-hearted and vivacious, at another moment defiant and aloof. They are both intelligent and well-informed about matters in the world, while also remaining quite unmotivated to learn. There is a constant questioning of authority, of demanding why something should be learned. The first experience Mr. Marin has with the students is his frustrating attempt to quiet the class and retain focus on the first day of school. Begaudeau's Mr. Marin is a complex teacher. He's certainly not perfect; he gets upset, he makes mistakes, he is caught off guard by the students, and he sometimes allows his authority of the class to slip. Yet he is a good teacher; he genuinely cares about the students beyond their grades, he wants to know them and what makes them tick, and he does his best to be their advocate when he can. He walks a fine line between being an authoritarian and a friend. This isn't a Dead Poet's Society or any of the recent inspirational high school teacher movies. This is down-to-earth and even harsh, revealing the deep pains and frustrations and mistakes that are part of the current educational system. At one point a fellow teacher has a venting session in the break room to the other educators, sharing his anger and exasperation with the students. This was a frustrating film to watch. The students in the film can try the patience of even the audience with their defiance and seeming lack of attention. I can understand why people think I'm crazy sometimes for working with junior high students. Yet they are bright, intelligent, witty, and ultimately beautiful people who have no one else to be their advocate. During a discussion between some teachers about how to handle a particularly convoluted disciplinary measure, one mentions that they are not the parents, that the students are not the teachers' direct responsibility. Yet that line is so hard to stay behind when the parents have disconnected themselves from their children's lives. This film reminded me of the critical importance for parents to be actively loving and guiding their children. It also brings up important questions about educational systems and philosophies. How do people grow and learn? What's the best environment? How do we handle discipline, punishment, reward, and motivation for students? The Class is just a glimpse into the world of adolescents. To fully enter their world takes time and trust, and I believe the filmmakers purposefully only gave the audience a glimpse of what life is like for students between the walls of the classroom. You never see the students at home, walking the streets of Paris, or doing their homework. The classroom--like the youth room at a church--can be a sort of oasis, a place of learning and growth and dialogue in a turbulent world. This is one of the best films of the year, and I would highly recommend anyone who works in the school system or ministers to young people to view this remarkable film. Knowing (2009): An elementary school in 1959 places a bundle of pictures into a time capsule set to be opened in fifty years. Most of the children draw spaceships, flying cars, robots, and other childlike visions of the future. But for one child, Lucinda Embry (Lara Robinson), the vision of the future is much more terrifying. Filling an entire paper with a seemingly random sequences of numbers, the teacher takes the paper before she's finished. Jump forward fifty years to the opening of the capsule, where a young boy (Chandler Canterbury) opens Lucinda's message. The boy's father, M.I.T. professor John Koestler (Nicolas Cage), happens to notice a portion of the sequence looks a little familiar. Surprisingly quickly, Koestler discerns that the numbers have accurately predicted every major disaster, both natural and manmade, for the past fifty years. And if the numbers are right, there are three more disasters about to occur. This is the opening premise of Knowing, a science-fiction thriller for the religious philosopher. Prior to opening the capsule, Koestler poses a question to his students about whether the universe is determined or random. Are we here by design or by happenstance? Is there any meaning or purpose behind our lives? When asked for his own view, Koestler bitterly replies that "s**t just happens." His cynicism stems from his wife's untimely demise in a hotel fire a year previous, leaving him an angry and isolated man who projects his bitterness towards his religious family. His father is a pastor, which adds a spiritual element to this mostly scientific film. So these numbers pose a difficult question--is there something behind all these accidents? Could someone actually know what is going to happen before it does? And if so, how would they know? What reason would they communicate these numbers to anyone? Koestler has a crisis of faith, especially after the numbers' predictions prove to come true. Who is controlling all of this? And who are the dark-clothed figures who seem to be haunting Koestler's son, always whispering and leaving strange black stones everywhere they appear? For me, Knowing is a mixed bag. 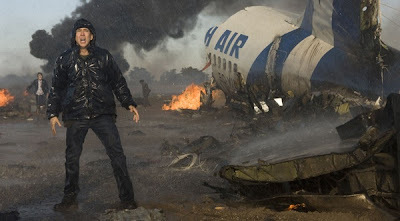 There are some incredibly tense scenes and fantastic cinematography, especially during the disaster sequences; a plane crash in the film is one of the best scenes I've witnessed all year. 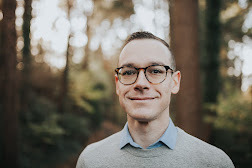 The spiritual questions that come from the film are also worth noting; the film purposefully and openly addresses questions of God, meaning, and Christianity. That being said, the film's latter half and a few large plot holes left me wanting. Nicolas Cage is not my favorite actor, and his performance here is mediocre at best. I cannot discuss some of the spiritual questions behind the film without giving too much away, and this is a film that needs to be seen with as little foreknowledge as possible to appreciate. Would I recommend seeing this? Despite leaving the theater a bit disappoint, for some reason I would encourage a viewing. Knowing could easily could lead to in-depth spiritual conversations about why we believe what we believe.